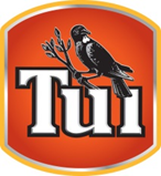 Hockey Player Stephen Jenness, Tui Sportsman of the Year went through to win the Supreme Award - Hutt News, Hutt City Sportsperson of the Year at a gala event on Thursday 8th May. 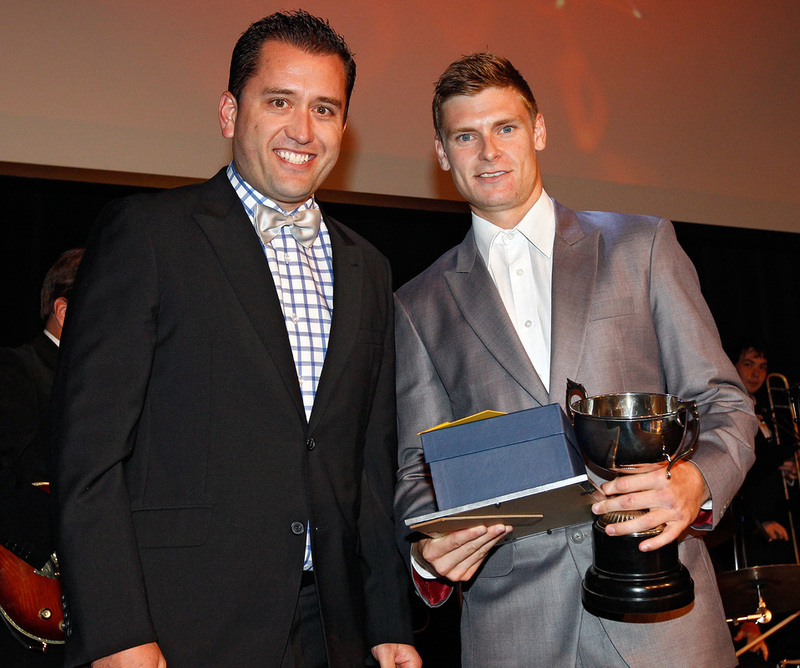 Blackstick Jenness, from the Hutt Club came off a stellar year in 2013. The twenty-three year old was a member of the team that was runner in the World Hockey League, New Zealand best international result since the memorable 1976 Olympic Gold in Montreal. To cap his year Jenness scored twice in his 100th Test against Japan in November and capped it by being voted Player of the Day. In addition to each of the category winners, three local legends were inducted into our Hutt City Legends of Sport - Malcolm Dunford, Barry Pickering and Grant Turner, all for outstanding contribution to the sport of Football/Soccer. Finalists and winners of each category are listed below. For a full selection of images from the awards ceremony click here. 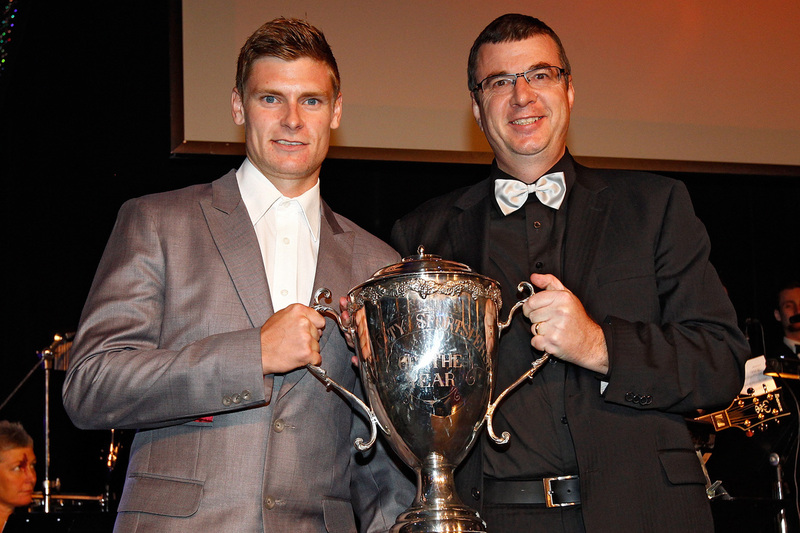 Hutt News Hutt City Sportsperson of the Year Stephen Jenness (left) with Grant Davidson of The Hutt News. Stephen Cross (right) accepts on behalf of Kathy Cross the award from Lower Hutt Mayor Ray Wallace. 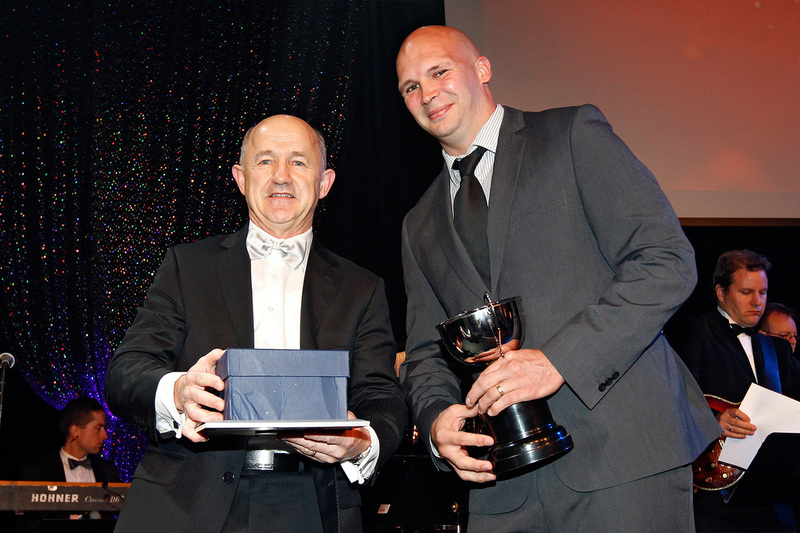 Stephen Jenness (right) accepts the Tui Sportsman of the Year award from Alan Davidson. 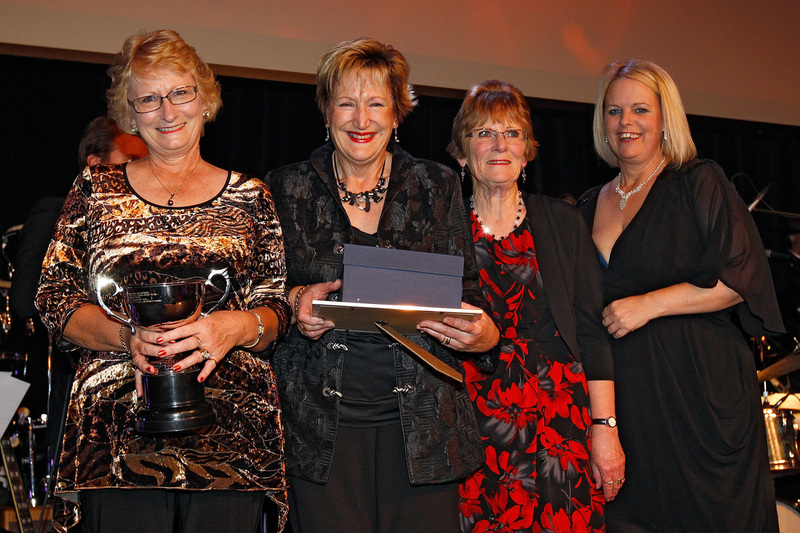 The Massey Avenue Women's Fours lawn bowls team - winners of the 2014 Bartercard Team of the Year. 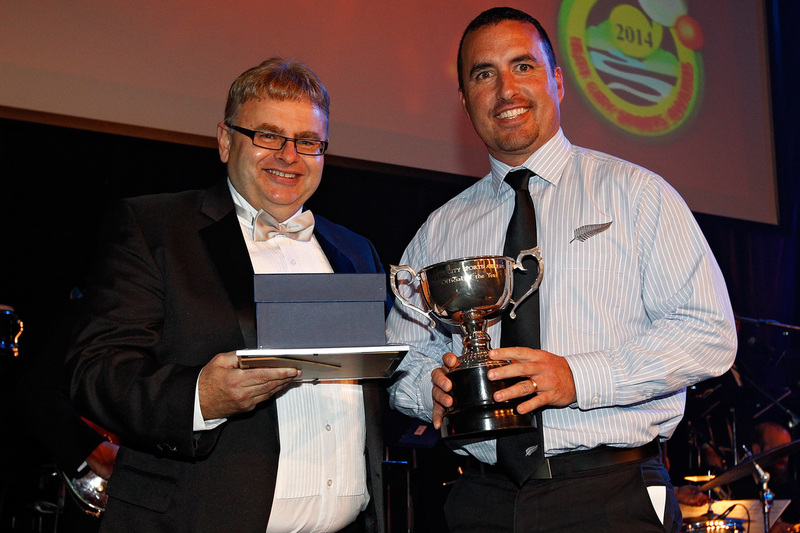 Leo O'Sullivan of Pak n Save Petone (left) presents Scott Waldrom with the Pak n Save (Petone) Coach of the Year award. 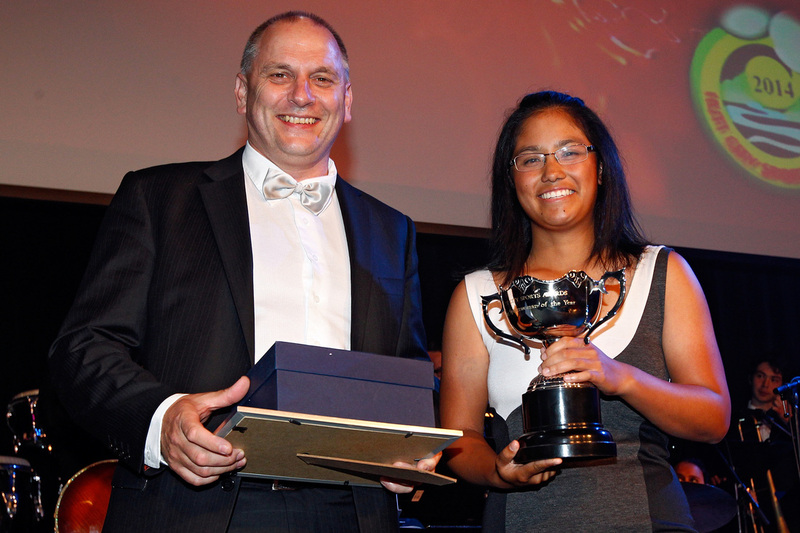 Julianne Alvarez (right) receives her award as the Hutt Valley DHB Young Sportswoman of the Year from Graham Dyer. 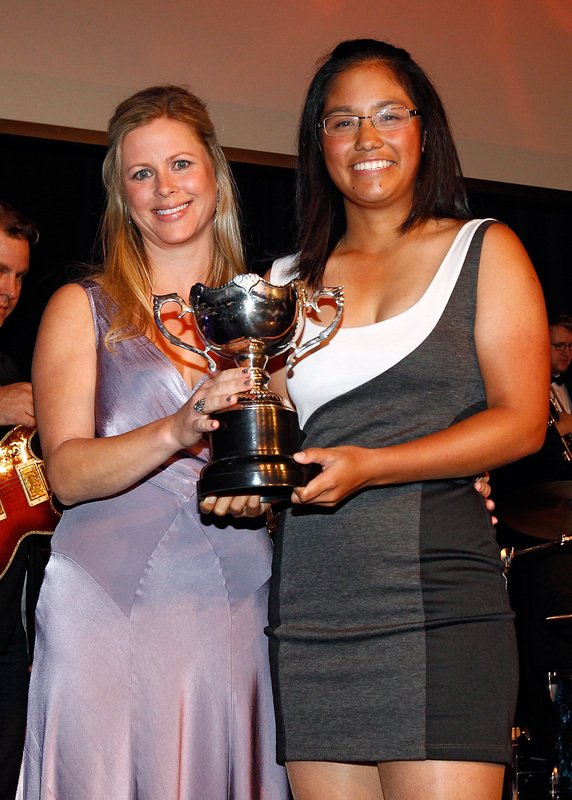 Julianne Alvarez (right) receives her second award for the evening, from Julia Scott. 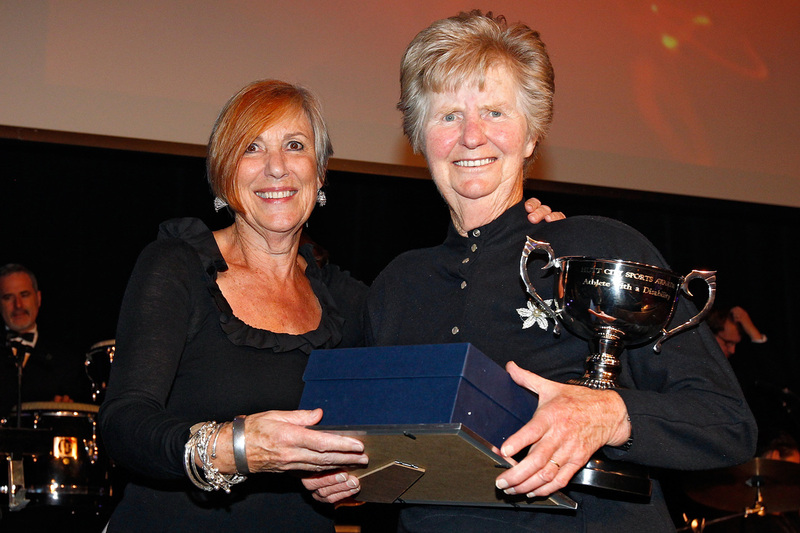 Vi Coats (right) receives her award from Prue Lamason of the Hutt Mana Charitable Trust. 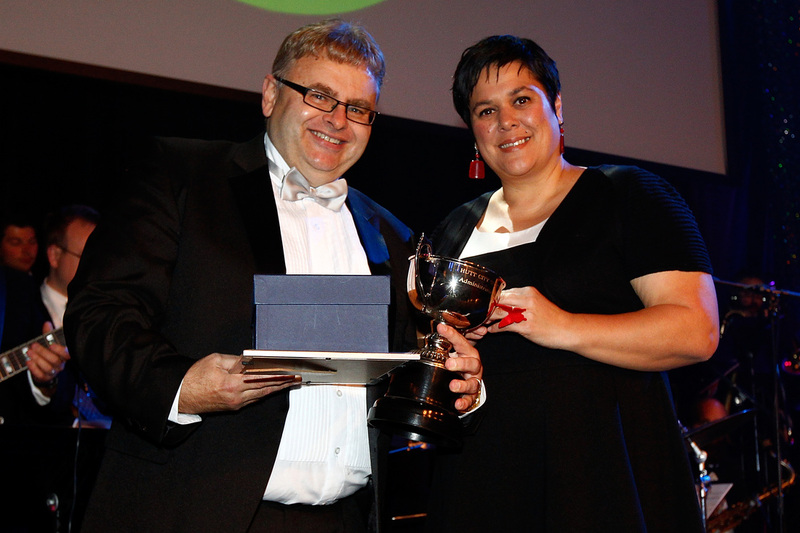 Charlie Holland (right) receives her award from Lower Hutt Mayor Ray Wallace. 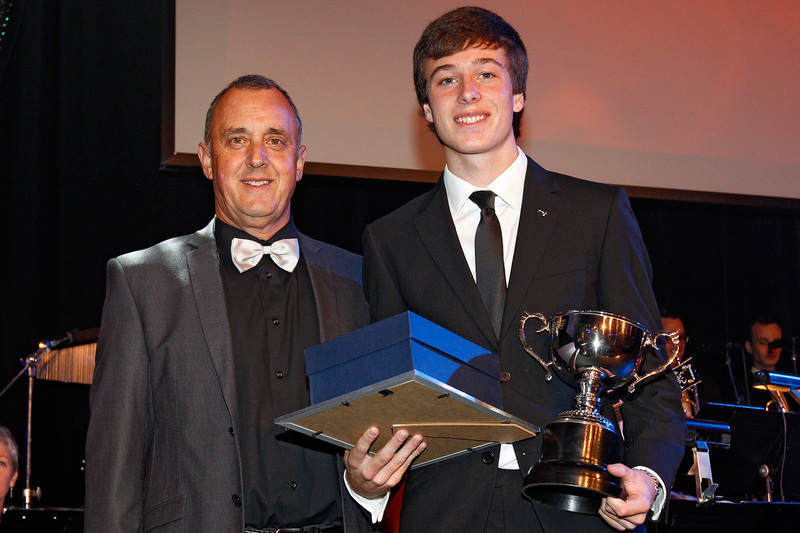 Scott Simmiss of Pelorus Trust (left) presents Timothy Robertson with the Pelorus Trust Young Sportsman of the Year award.